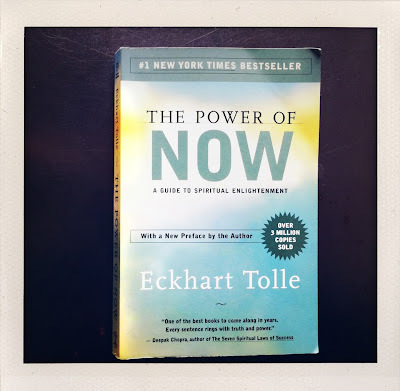 The Model Muse: "The Power of Now"
This book "The Power of Now" by Eckhart Tolle is quite possibly the most moving, life changing book I've ever read. I have been applying some of the philosophies he writes about, and my life is noticeably different. Every moment to moment challenge that comes up in my day to day life is easily dissipated and I feel happier and happier. I feel so grateful that I stumbled upon this particular book. I highly recommend it to anyone who is ready to broaden his or her viewpoint on why we are here, what is it all about, God, etc. It's a pretty hard read, but if you really take the time to read and understand it, it is filled with juicy and amazing information about the human spirit and everything about life and living. I need to read this..has been sitting under my bed collecting dust. i think ill dig it back up!